Eclipse chasers, wildlife lovers and keen travellers alike are being offered an amazing opportunity to witness one of the most striking astronomical events by expeditionary cruise specialist, Swoop Antarctica. The company, which has two 19-night departures scheduled in November 2021, to coincide with the total solar eclipse, are advising travellers to book soon as places are going fast and there’s only so much space on each ship! When a New Moon comes between the sun and Earth on 4th December 2021, it will plunge certain parts of the globe in to darkness, including the Antarctic Peninsula. Swoop’s passengers have the choice of travelling on m/v Plancius or m/v Hondius, which will journey to The Weddell Sea, navigating sea and pack ice, in time to position themselves in the centre of the shadow of the moon for optimum viewing beneath the path of totality. The experience will last but a few minutes, however, the memory of witnessing it in such a special, remote location, is sure to last a lifetime. 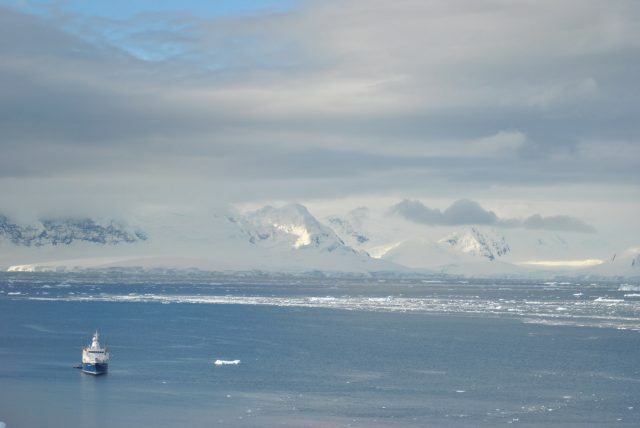 The two expedition cruises all begin and end in Ushuaia, Argentina, with Plancius plotting a course via the Falkland Islands and South Georgia before heading towards Antarctica, and Hondius crossing the Drake Passage first to do the same itinerary in reverse. Whichever route is chosen, passengers will have the chance to enjoy a plethora of sea birds and other wildlife, including several species of albatross, which follow the ships on route to the Falklands, as well as petrels, shearwaters and Peale and Commerson’s dolphins. The Falkland Islands or Las Malvinas are a hotbed for wildlife, offering a host of opportunities for viewing rookeries bursting with rockhopper penguins, nesting Magellanic penguins and even king penguins. Plus, a stop in the charming capital, Port Stanley, provides a fascinating overview of its history and culture, from its days as a major port for tall ships in the 19th century, to the more recent conflict over the islands in 1982 between the UK and Argentina. As each expedition charts a course for South Georgia, thoughts turn to Sir Ernest Shackleton and his epic voyage on board Endurance. Passengers are bound to marvel at the bravery of the first explorers as they follow the difficult path that they took more than a century ago, but with the benefit of today’s modern technology and all home comforts aboard a robust, ice-strengthened vessel. Some of the world’s largest breeding beaches for southern elephant seals are located in South Georgia, in addition to large colonies of king penguins and substantial numbers of Antarctic fur seals. Heading further south, ice and weather conditions will determine which route is taken in to The Weddell Sea. Awe-inspiring tabular icebergs tower above the ship and a breathtakingly pristine, frozen landscape stretches away as far as the eye can see. There may be the chance to travel through the ice-clogged Antarctic Sound or possibly even to step on to the Antarctic Continent itself. ‘Antarctic Peninsula, Solar Eclipse, South Georgia and Falkland Islands’ – 26 November to 15 December on board m/v Hondius.